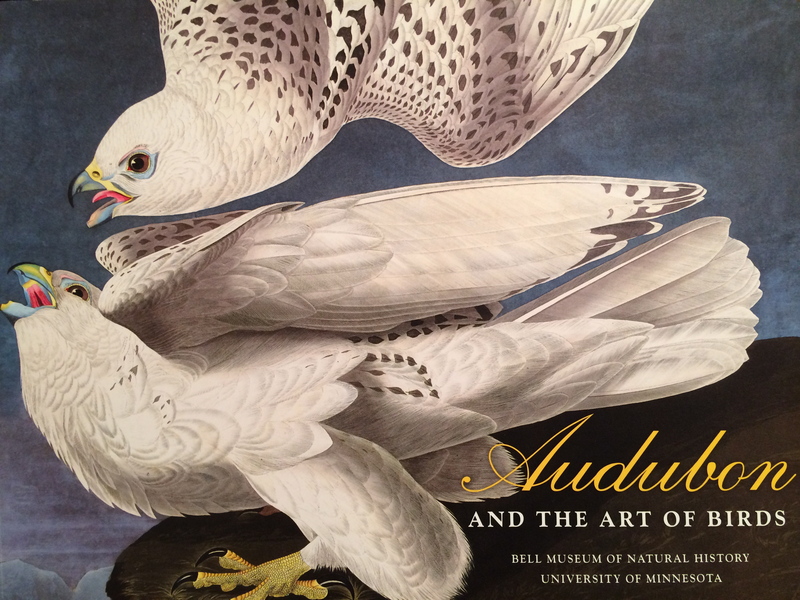 On January 11, thirty-four GRC members and their guests met at the Bell Museum of Natural History on the University of Minnesota Campus for a Curator’s Tour of the exhibit Audubon and the Art of Birds. 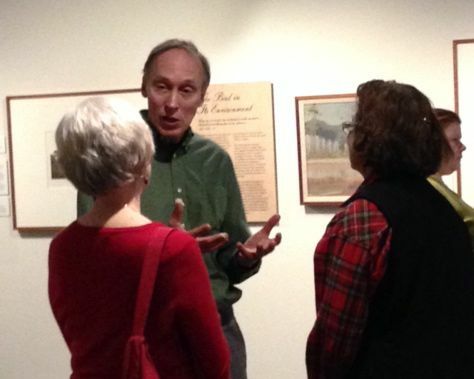 The tour was led by Don Luce, long time Exhibits Curator at the Bell and a scientific illustrator himself. Don started the tour with visits to a few of the Bell’s signature dioramas, said to be among the best of their kind in existence. The dioramas present faithfully recreated Minnesota landscapes in which these animals once lived and required the talents of some of the best artists and craftsmen to accomplish. They preserve a snapshot of wild Minnesota which in many cases has been lost forever. Don then took us to the exhibit, the centerpiece of which is selections from the Museum’s complete “double elephant” portfolio of Audubon’s artworks (435 plates in all), one of only 120 sets in existence. A gift to the museum by a wealthy benefactor, the portfolio was lost in storage over the years as administrations changed and only fairly recently was rediscovered. After a complete restoration, the collection can now be seen. The exhibit comprises a total of 105 works spanning the history of bird art from the mid 1500’s to the present, and featuring a great number of quite well known artists. 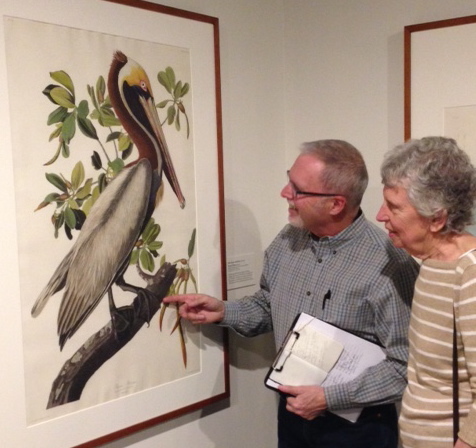 We saw 33 Audubon prints and Don shared many stories from the artist’s life and the process of creating these magnificent prints. GRC members were abuzz with questions, and Don’s answers were both entertaining and informative. About a week after our visit, the exhibit was temporarily closed. In order to protect the artworks from too much light exposure, and also to make more images available to the public, about seventy-five percent of the exhibit was replaced, including all new Audubon images. The new exhibit reopened on February 1 and runs through early June. On May 31, with fifteen members participating, we made a return visit to the Bell Museum. Once again, Don led us on a tour - to a different selection of the dioramas and to part 2 of the Audubon exhibit. This was a great opportunity for those who missed the first tour and it rounded out the experience for the return visitors - enjoyed by all.